1 Be ready to be transported back to mom’s kitchen with this recipe. Let’s begin! Get your pot nice and hot and bring this to medium high heat. Pour some oil and sauté the ribs. Now, pour water, onion, tomatoes, and the mango into the pot and bring this to a boil before adding the Knorr Pork Cubes. Reduce the heat to a simmer and add the chilli. 2 When the pork is fork tender, you may gently add the beans and cabbage and simmer until cooked. 3 Now, who says we always need to stick with tamarind? 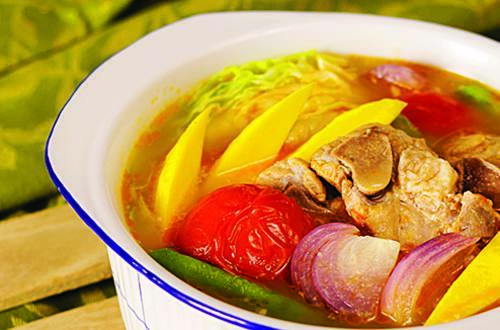 When you finally get to taste our Simple Sinigang sa Mangga Recipe, this dish will surely become part of your monthly menu.